From landmarks to tourist attractions to just fun things to do, there are plenty of reasons why Monterey is known as the “Cradle of California.” The region is very well known for wine tasting, Pebble Beach golf tournaments, and Monterey Auto Week, but there’s also historical sites and landmarks worth checking out in Monterey, too. If you need a ride to landmarks, contact Monterey Airbus for charter shuttles and more. 17-Mile Drive - 17-Mile Drive is more than just a road, it’s the stunning Pacific coastline! The route begins at Pacific Grove Gate and goes to the Del Monte Forest. Take in the natural beauty of the coast or the multi-million-dollar homes along the way. Cypress Point Lookout has breathtaking views and is a great spot to take in a Pebble Beach sunset. Point Lobos State Natural Reserve - Located south of Carmel-by-the-Sea and 15 minutes from Monterey, Point Lobos State Natural Reserve offers 13 trails (both challenging and easy) perfect for nature lovers. View rock formations rising from the ocean and tidal pools bustling with marine life. Lucky hikers can spot sea otters, seals, and even whales during the winter months. Cannery Row - Cannery Row is now perhaps Monterey’s most famous landmark. Originally it served as sardine canning factories, the waterfront section of Ocean View Avenue was renamed after the John Steinbeck novel Cannery Row. The area has been transformed as a tourist’s attraction with shops, boutiques, restaurants, and hotels. If you’re looking to avoid the tourists and see a more authentic side of Cannery Row be sure to check out the Cannery Row Antique Mall and Old Fisherman's Wharf. Monterey State Historic Park - Located in Old Monterey, Monterey State Historic Park consists of historic homes and adobe from the 19th century. Besides the stately buildings, the gardens are also impressive: from rose and herb gardens to cypress hedges. Carmel Mission - The historic Camel Mission or Mission San Carlos Borromeo del río Carmelo was first built in 1797, five miles south of Monterey along the Carmel River. The Carmel Mission is one of the most authentically restored Roman Catholic mission churches in California and listed on the National Register of Historic Places and is a National Historic Landmark. Today the mission is still an active parish church and school, but a museum offers a look at mission life. Point Pinos Lighthouse - The Point Pinos Lighthouse was first lit in 1855 and is the oldest operating lighthouse located on the West Coast. The lighthouse is in Pacific Grove on the northernmost tip of the Peninsula. An on-site museum exhibits offers a glimpse into the lighthouse’s history with occasional special events hosted by costumed guides. 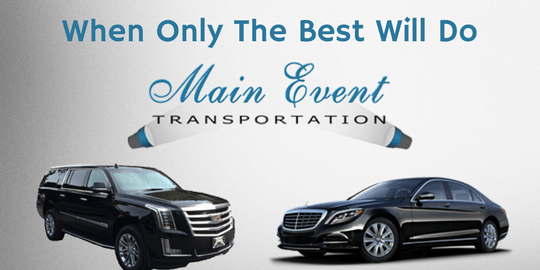 Reserve a Monterey Airbus or Main Event Transportation service to landmarks all across Monterey Bay.